Our Beach Clean Bags are designed to eliminate the need for single use plastic sacks & bin bags when cleaning our beaches. 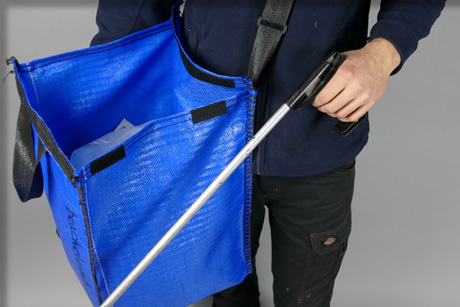 Long lasting with an adjustable shoulder strap to keep both hands free & featuring our Patented Securesack™ top closure system which holds the bag open for filling & keeps contents secure when closed - even if knocked over. Manufactured at our UK factory from fully recyclable materials - we can also supply in a range of colours & other sizes with printing if required. 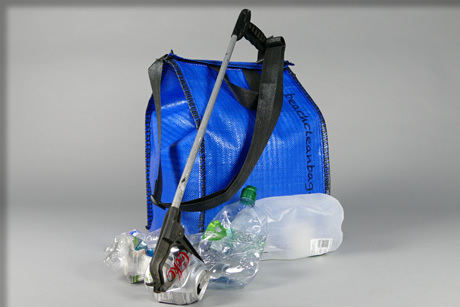 We can supply beach clean bags in a variety of colours & print options to suit a wide range of requirements including Street Cleaning & general de littering applications.